MAYBE YOU’VE NEVER heard of William Turnbull. I certainly didn’t until he decided to run for mayor of Kamloops — then I had to look him up. Turnbull is not a household name but he’s been involved with the Downtown Neighborhood Association and is active on social media. On the other hand, Kevin Krueger is a household name but he unfortunately won’t be running for City council due to an injury. Back to Kevin in a minute. 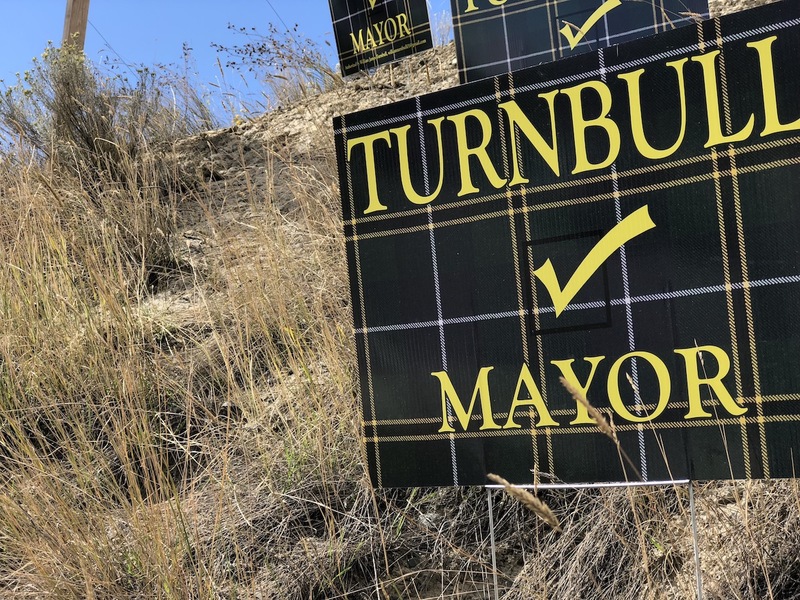 Barring a miracle, Turnbull won’t win because he’s up against an incumbent mayor, and incumbent mayors in Kamloops almost never lose, especially against unknowns. Never say never, though. A few years ago, Dieter Dudy was an unknown who shocked everybody, especially incumbent mayor Peter Milobar, by coming within a couple of hundred votes, and now serves as a respected councillor. In 1980, incumbent mayor Mike Latta had nobody running against him except a Kamloops nurse named Dorothy Belleau, who had no previous political involvement and no profile. Belleau didn’t come as close as Dudy, but she turned it into a very tight race. Some people say this is going to be a boring election. If Krueger had been in the running, it most certainly would not have been boring, and he would have been a shoe-in. Still, I think those who insist this will be a yawner are wrong. Ken Christian is not going to be counting chickens. It will be a damn-the-torpedoes campaign because of those earlier examples. So Turnbull’s candidacy is important. Civic campaigns turn on mayoral elections. Turnouts are higher when the mayor’s chair is open or when there’s at least a sense that there’s a real competition. Even if Turnbull doesn’t shift enough votes to make this another Dudy or Belleau year, he can do the democratic process a real service by challenging incumbent council members on their records and promoting new ideas. So, let’s say thank-you in advance to William Turnbull for stepping forward, and offer best wishes to Kevin Krueger for a speedy recovery. Your admiration for Kevin Krueger boggles the mind. In a good way, I’m sure.